Materials: acrylic crochet yarn medium size, 5mm crochet hook, hair elastic. for start, make a slip knot, place your hook into the hair elastic and make a slip stitch, then chain 30. *If you prefer a longer hat just add a even number of chains. chain*, repeat from * to * across until 2 stitches remains, chain 1, skip next chain, 1sc to the last stitch, 1sc into the hair elastic. chain*, repeat from * to * across until the end of row. Rows 4 - 66 : repeat rows 2&3. *In the end of row 66, join both sides with 1sc crochet in each stitch across. Then 1sc into the hair elastic, cut the yarn and finish your work. 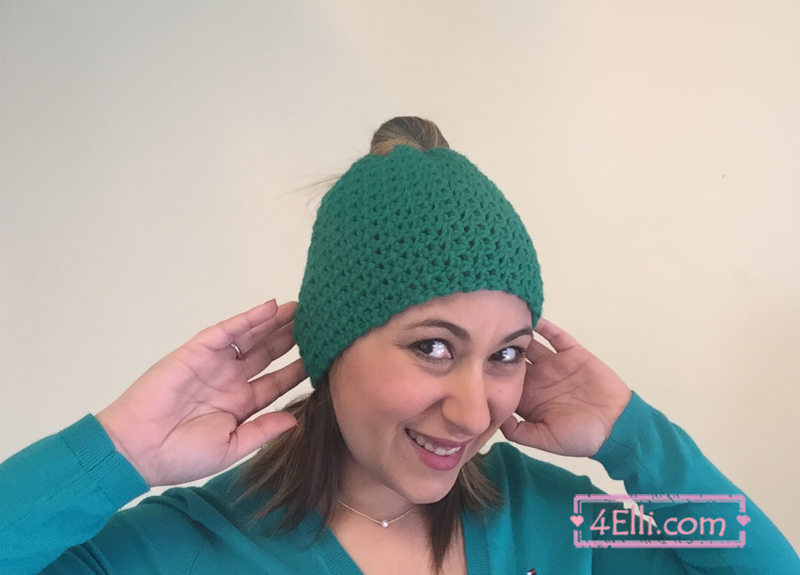 You can watch our video tutorial witch shows you how to make this beautiful hat step by step.